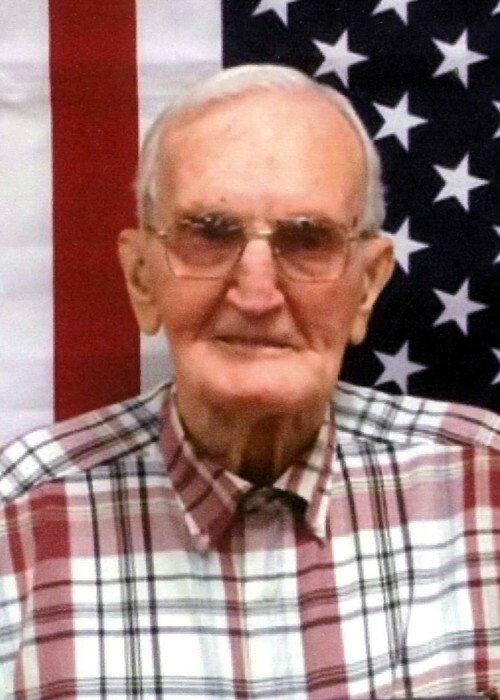 Ivan Curtis Motes, 98, passed from this life March 30, 2019, in Mountain View, Arkansas. He was the third child of seven born to Isaac Joshua Motes and Rosie Mae Fowler Motes. They farmed, moving from place to place, in order to locate work until finally settling in McRae, Arkansas. After high school, Ivan worked in Chicago, but left after the attack on Pearl Harbor, returned home and enlisted in the Army Air Force on July 9, 1942. He served as an Airplane and Engine Mechanic, a Flight Maintenance gunner, fired aerial guns, performed pre-flight checks and served as a flight engineer on both B-17 and B-29 planes. He was discharged December 5, 1945 with the rank of sergeant. He loved the military and was known to eagerly share his experiences. Ivan was a Christian, attending the Church of Christ. In his younger years he was very active in the church, serving as a teacher, deacon, elder and preacher. He was also a mechanic, working for Arkansas Best Motor Freight as head of maintenance for the southeast region of the United States. He retired at age 65 from ABF. Ivan is survived by his three children, Diana (Charles) Ramsey of Mountain View, Floyd (Miriam) Motes of Ayacucho, Peru, and Lee (Traci) Motes of Bryant; twelve grandchildren; twenty-two great-grandchildren; and two great-great grandchildren; and two brothers, Alton P. Motes and Robert H. Motes. Ivan was preceded in death by his wife of almost sixty years, Grace Louise Osborn Motes; his parents; four siblings, Casey, Cornelius, Cecil and Melvin; and a grandson, Jacob Douglas Motes.